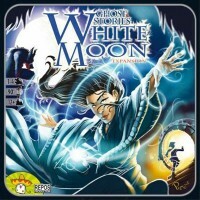 White Moon is an extension of the cooperative game Ghost Stories. The players represent Taoist priest who fight the Lords of the Nine Hells and his acolytes back to where they should have never left. Fight against the force of Evil and win together or fail together. Discover also new ghosts and incarnations of Wu-Feng. To face all these terrible new enemies, a new ally will come and help: Su-Ling. Each time a villager is killed, a malediction dice is rolled or a village tile is haunted, the players can activate Su-Ling. She will neutralize the bad effects. 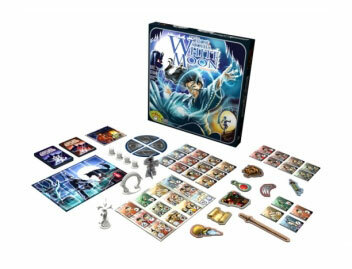 Rediscover Ghost Stories with White Moon. This is an extension of Ghost Stories. You will need the base game in order to play White Moon. Add a Review for "Ghost Stories: White Moon"